A couple of weeks ago, Vani and Stephen had a beautiful baby boy. However, he was born in the eighth month of her pregnancy and was underweight. 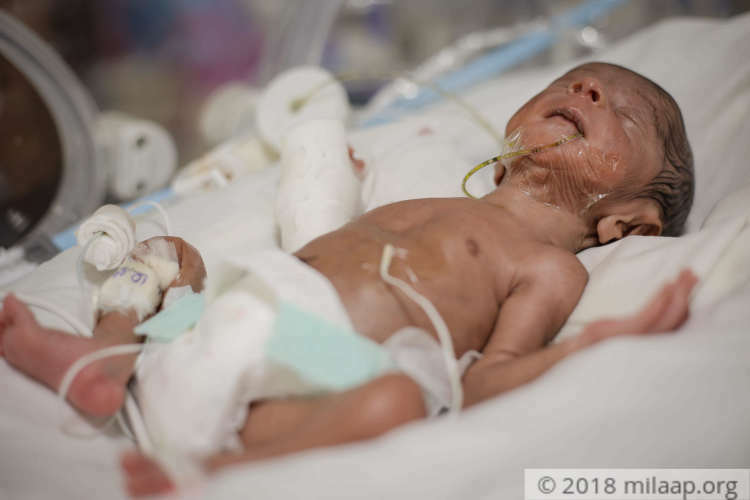 Their baby was also suffering from jaundice for two days and was kept in NICU. Within a few days, his condition worsened when he started to vomit frequently and had a high fever. After various tests, they were told their tiny baby not only had an infection in his intestine, but also a hole in his stomach. The little one was just 7-days-old when he underwent a major surgery where the hole in his stomach was closed. But their baby is still not out of danger. 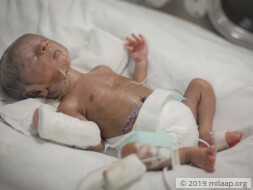 He needs to stay in the NICU to get stronger and can't survive a life outside the incubator yet. He was fed through a tube in his mouth, but it wasn't enough to save him - another feeding tube has been inserted through his leg to help him recover faster. “I can't help but breakdown when I see him with all the tubes. It's so dreadful to watch him cry out of pain and hunger. I want to hold my little baby in arms. I haven't even breast fed him. All I can do is stand by and watch him go through all this. I feel helpless and fear for his life every second." Stephen, who works in a private company, now finds himself at a dead-end. 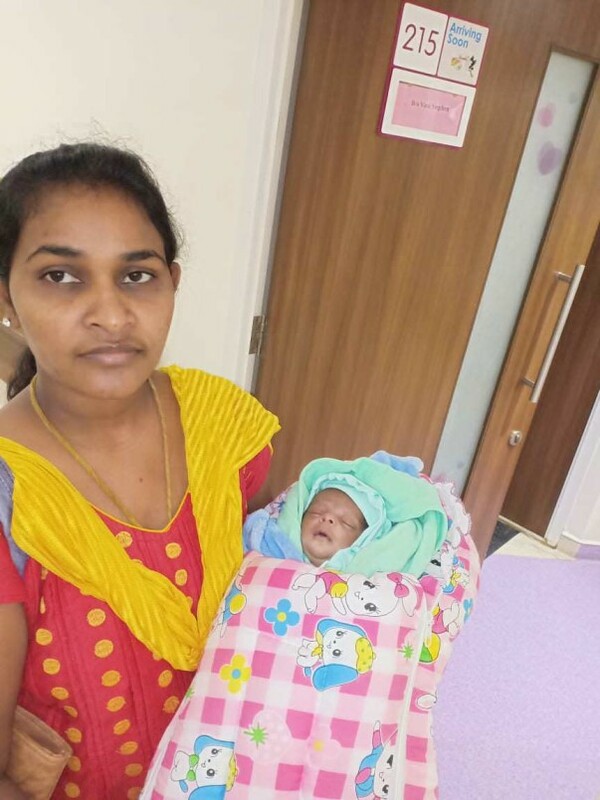 He earns Rs 16,000 in a month, and it isn't enough to continue his baby's treatment. He was somehow able to afford a safe delivery for his wife, but saving his son is beyond his capacity. Without medical care and attention, Vani and Stephen might never get to take their baby home with them. Their baby needs to stay in the NICU for another 6 weeks to recover completely, without this, their baby won't be able to survive. 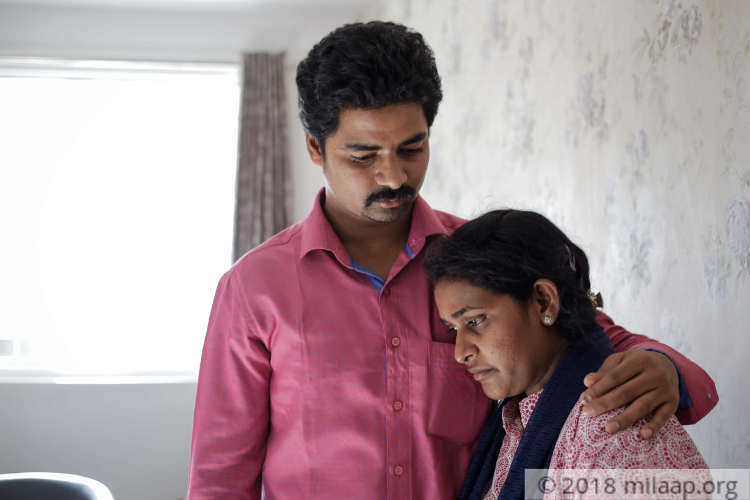 Unfortunately, the expense of the treatment is a heavy burden for Stephen and Vani who have nothing left to continue treatment. 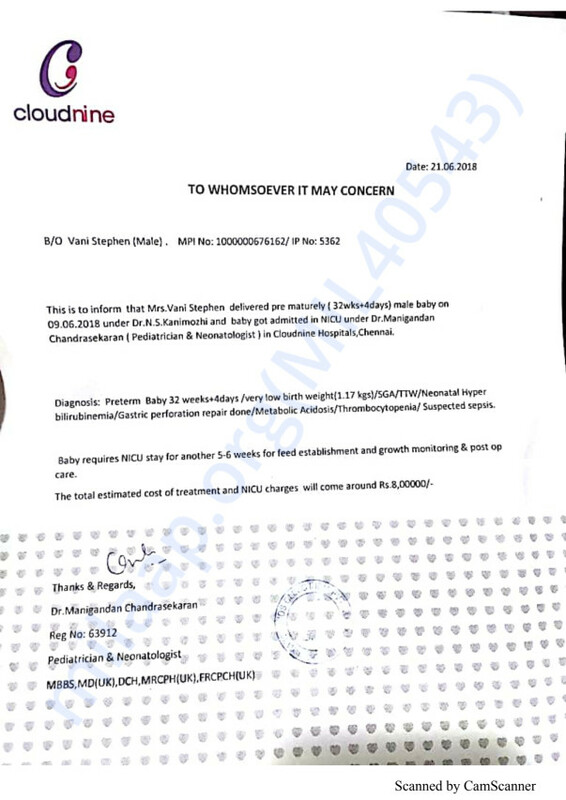 Their baby needs 8 lakhs to get treated. Your support will save their 16-day-old baby's life. Your support can save their 16-day-old baby boy's life. Baby of vani is currently at home and is responding well to the treatment and is recovering slowly. 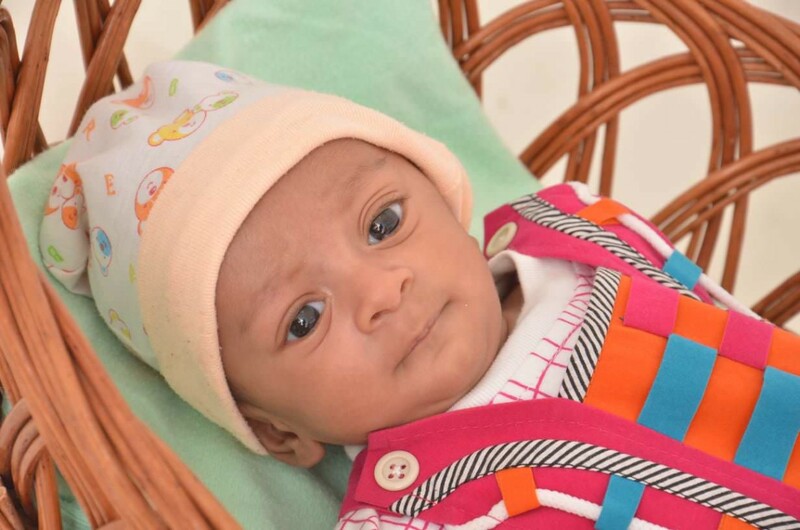 Here is the recent photo of baby of vani. Thank you so much for the support you have shown towards the baby. The baby has been discharged and recovering well. We are very thankful for all the support you have shown towards The baby and the family. 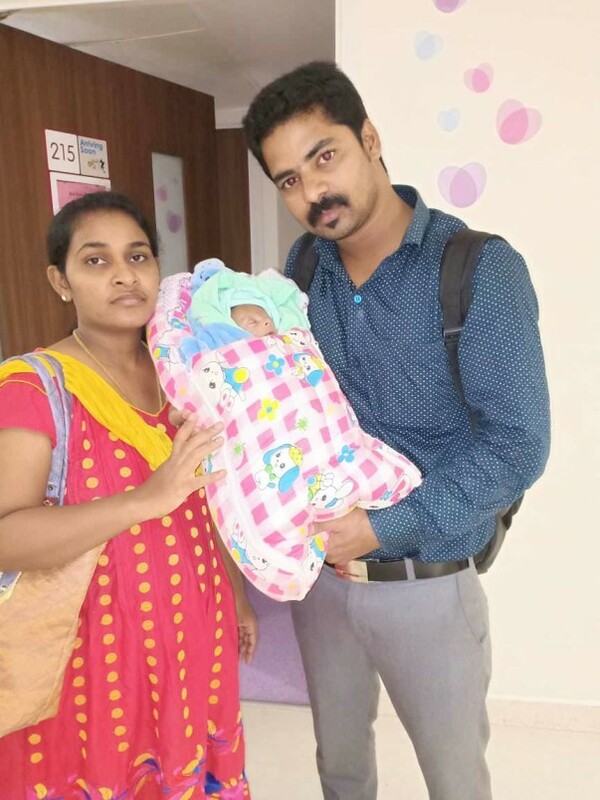 Just few days back Mr.Stephen & Mrs Vani were very joyfull on hearing from doctor's that the baby will be shifted to ward and discharged in few days. However the baby was co operating well with the feed so got shifted to the ward. Suddenly baby was shifted back to NICU again from ward till the baby is stable and can take the increase amount of feed normally. Here's the good news, baby is doing better now and doctor's have given a go ahead for discharge with special care instructions. We thank you once again for all your support.